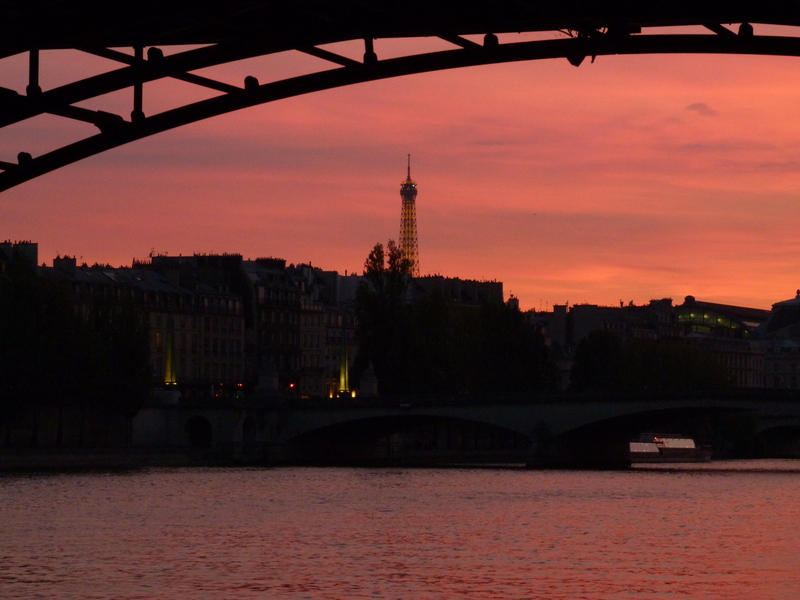 Here’s how to take on the City of Light with a mere two days. We did it on our mini staycation recently. First, pick a hotel with a great location, like right near the Eiffel Tower perhaps! We stayed at the Hotel Plaza Tour Eiffel, which is just step away from the Trocadero esplanade yet tucked into a quiet residential pocket of Paris. The convenience of this location was perfection. Plus you get all the luxury fixings of a four star hotel! We had a junior suite with a little balcony and a view of that iconic tower. We took advantage of room service and enjoyed our hotel room as much satisfaction possible without missing out on exploring the city as well. Yes, we are Parisian but like most people who love this city and live here, we are always the eternal tourists. Second, pick ONE museum. That’s right, one. I love museums, but if you spend your whole two days in Paris in museums, you don’t get to see Paris. We chose the Musée de Cluny which was holding its final day of an exhibition that we were interested in (I love medieval history). Third, take buses taxis or cars, because as you commute you get to see the city. You can get a pass for the city bus system (purchase it in the metro) and download the RATP app to help you navigate it. Or use your favorite car-for-hire service. If you don’t want to use Uber, here you can use Chauffeur Privé or Blabla Car which is a ride sharing app. Fourth, chose one or two iconic cafés or restaurants, and leave the rest to whimsy. We had a hot chocolate pit stop at the historic café Les Deux Magots in the Saint Germain quarter. There is a fabulous mix of tourists and locals here. You can bring home a souvenir too, they sell their porcelain tableware in their gift shop. Fifth, visit at least one garden. We strolled through the Jardin de Luxembourg, and it happened to be a gorgeous February afternoon! But you have a large choice of gardens to stroll in the city of love. Another one I love is the garden at the Musée Rodin. It’s a small price for entry and you are in the company of roses and sculptures from the 19th century genius.